European airlines entering the New Year with strong profits, such as EasyJet and Ryanair, may be looking to the future with optimism after reaping the benefits of strategy alterations to appeal to higher-yielding business passengers. But at the other end of the spectrum, struggling state-owned carriers hoping to find partners to bail them out and prevent their collapse, such as Cyprus Airways, could find themselves left on the shelf and consigned to the history books as 2015 dawns. 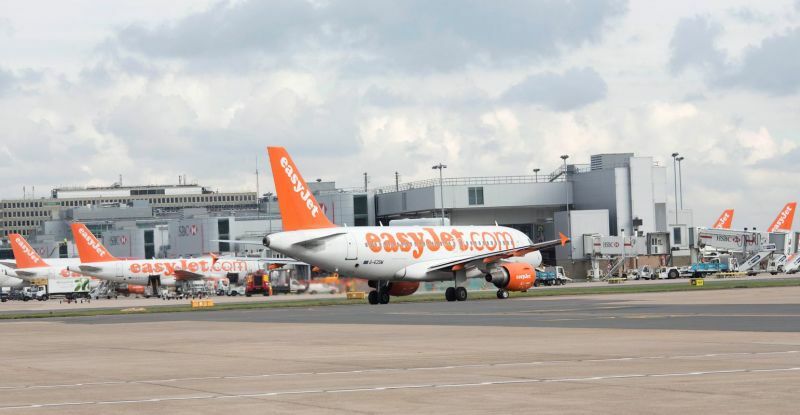 UK-based EasyJet saw its pre-tax profits rise by 22%, to £581 million ($918 million), in the year ending 30 September. EasyJet chief executive Carolyn McCall says the carrier has “opened up clear blue sky between us and our competitors”. Part of the airline’s success can be attributed to its focus on attracting business passengers, an initiative it says continues to perform in line with expectations. Meanwhile, Irish rival Ryanair reported a 32% jump in its fiscal first-half net profits, to €795 million ($994 million), on the back of its recently-announced promises to be nicer to passengers and focus efforts on appealing to business passengers. Speaking to analysts in a first-half financial results presentation, Ryanair chief executive Michael O’Leary said the carrier’s “always getting better” programme “is working”, and has led to a “better experience” for passengers. With its confidence boosted, the airline has raised its full-year profit guidance, and now expects to post a 45% year-on-year improvement compared to the previous fiscal year. This confidence has also spread to some of Europe’s legacy carriers, with both Aer Lingus and IAG – the parent of British Airways and Iberia – both having upped their profit forecasts. But elsewhere in Europe, the outlook for 2015 is quite bleak for some airlines – particularly those of the loss-making, state-owned variety. For instance, time appears to be running out for Cyprus Airways, which has been up for sale since the summer. Unlike in the USA, where several high-profile airline mergers have taken place over the last few years, Sullivan believes there is “just not a lot of reason to try and consolidate” in the European market. He cites “limited new markets” as a major reason for this reluctance to consolidate, pointing out that 98% of un-served European markets have demand of fewer than 10 passengers a day. “Europeans don’t travel nearly as much as Americans,” says Sullivan. European airlines may not be in a hurry to marry each other, but Sullivan believes that if the continent’s struggling national carriers are to stand a chance of continuing to carry their nation’s flags, foreign ownership and control restrictions should be dropped to enable non-European suitors with fatter wallets to enter the fray. Foreign ownership of European airlines is currently limited to 49% – which is how much of a stake Abu Dhabi-based Etihad recently acquired in Italian flag carrier Alitalia.